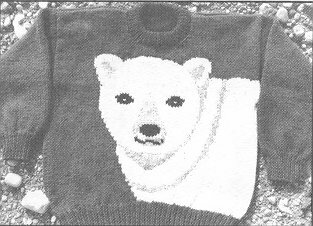 POLAR BEAR #089 eweCanknit knitting pattern. Youth sizes 10-12-14. Chest measurements 28-30-32 inches. Uses worsted weight yarn. Finished chest measurements 34-36-38 inches.